For more than 175 years, the John Deere Company has been researching and developing innovative farm equipment that strives to improve agricultural productivity. These 10 antique John Deere tractors highlight the original model designs that paved the way for the modern equipment we rely on today. 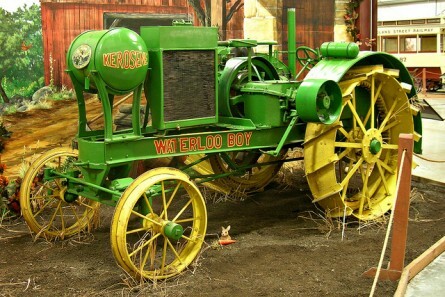 The first Waterloo Boy tractor was first released in 1914 in a variety of models and engine sizes. In 1918, the John Deere Company purchased the Waterloo Gasoline Engine Company and continued to sell tractors under the Waterloo Boy name until 1923. In 1918, the Dain tractor became the first tractor produced for sale by Deere & Company with the John Deere name; today, it’s one of the oldest known antique John Deere tractors. 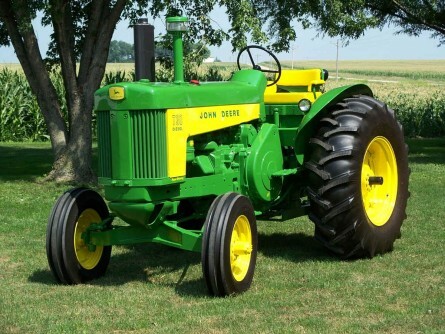 The 4-cylinder John Deere Dain All-Wheel-Drive tractor was built with features that weren’t widely used in the Deere line until 1960. 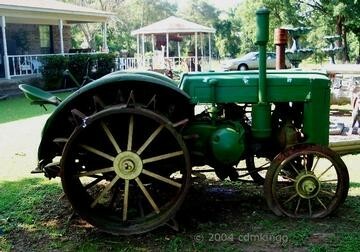 The Model D (aka John Deere Industrial) tractor was first released in 1923; production continued until 1953. Original Model D tractors came equipped with steel tires, but Deere engineers realized the design was not compatible with hard surfaces, so, in 1925, they swapped out steel tires for rubber tires. 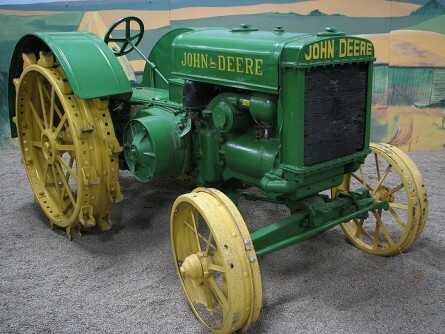 1927 saw the release of the John Deere Model C, but the name was changed to “General Purpose” in 1928 to avoid confusion with the “D” tractor when dealers were phoning in orders to the factory. 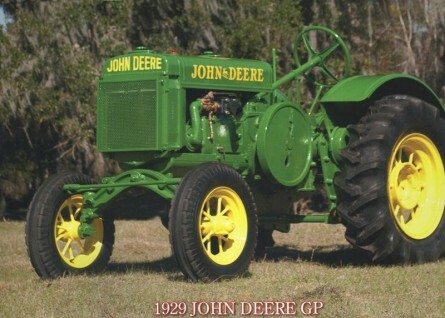 The John Deere Standard GP was the first row-crop tractor released by the company and offered five distinct versions over the course of its production. In 1934, the John Deere Company began producing Model A GP row-crop tractors that featured a 3-wheel, tricycle designed to improve maneuverability and reduce the efforts of steering. 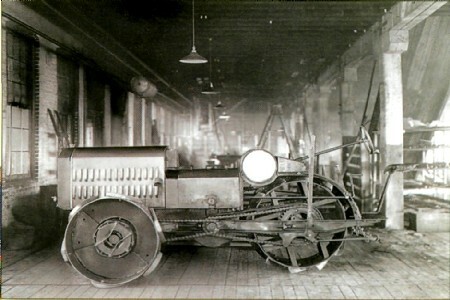 Eight versions of the Model A GP tractor were built during the 20 years of its production. In 1937, Deere released their largest row-crop tractor yet with the “Unstyled” Model G. The Model G tractor underwent three style transformations during its 12 years of production. During WWII, the name was changed to Model GM (General Modern) in order to receive government approval for a war-time price increase. 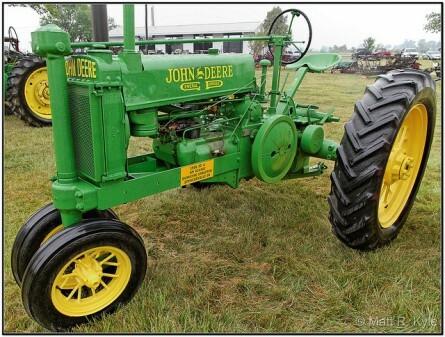 After the war, the name switched back to the Model G.
In 1938, Deere hired designer Henry Dreyfuss to restyle the Deere agriculture equipment and, in 1939, a new style of the 1926 Model D tractor was released. The restyled Model D was a 42 hp row-crop tractor, which offered several new options including electric lighting and electric starting. During WWII, Deere engineers researched and developed the Model M tractor that would replace some of the outdated models (e.g., H, L, LA). 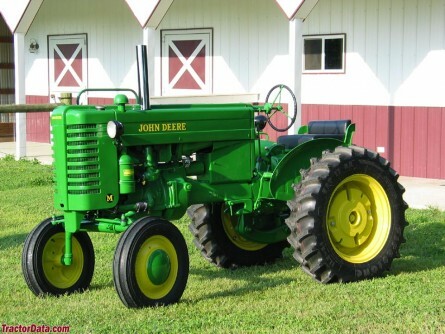 The JD Model M was built to address the increasing demand for small tractors and to compete with popular models from Ford and Farmall. Model M was the first John Down tractor to use the Touch-O-Matic hydraulic system and come standard with power take-off (PTO) and electric starting. 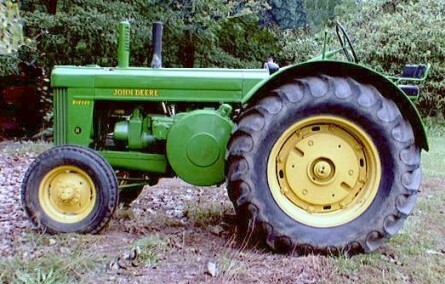 In 1949, Deere released the first diesel powered tractor complete with live PTO equipped with its own clutch. The Model R became known for its ability to lift heavy equipment with the touch of a lever through its hydraulics. The Model R tractor saw a series of upgrades and redesigns during its 10 years of production. 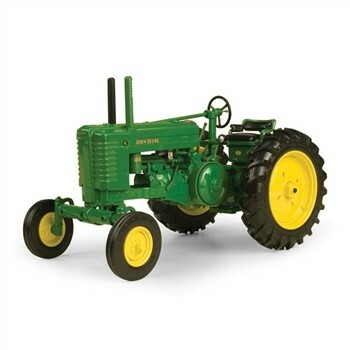 In 1959, the Model R tractor was upgraded with the 730 model and quickly became favorite among tractor-pull and restoration enthusiasts because of its weight, power, and slow speed. The 730 was available in diesel, gasoline, and LPG, as well as in row crop tricycle. Each of these antique John Deere tractors are important chapters in the story and the evolution of John Deere farm equipment. Do you have a tractor that tells a story of its own? If so, leave us a comment! We’d love to hear from you. If you enjoyed this post or want to read others, feel free to connect with us on Facebook, Twitter or Google+!